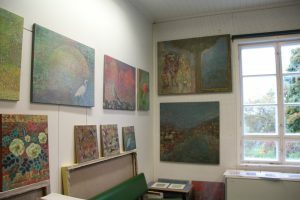 THE WORLD IS A PATCHWORK - multiculturalism in different fields of art and understanding of diversity for kindergartens and schools by the workshops. The workshops ordering practices vary by municipality. Every municipality has its own quota. The workshops are ordered and always ensured via the Metku-contact of the municipality. You can find the correct municipalitie's Metku-contact via the Contacts-tab. In Lappeenranta Patchwork workshops are offered especially for kindergartens, secondary schools, special groups and sparsely populated areas. Children's Culture Network, has resulted in many innovative methods of art education in different fields of art. 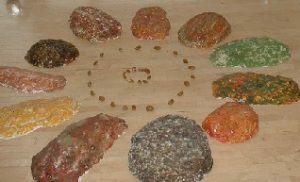 Some of them are processed in written form as method guides. The method guide allows the art educator, teacher or counselor to implement a new kind of workshop, practice or art moments with the children or youths. Have a look at Children's Cultural Network's webpages and find yours here. "Meow Meow Ring Tail. Tomorrow we go to Lappeenranta. What to do there, wash the kittens. " ”Kis Kis Kippurahäntä. Huomenna mennään Lappeenrantaan. Lappeenranta's general cultural association and South Karelian children's cultural center METKU together with graphical artist Heli Pukki have produced a brand new way for families to get to know Lappeenranta. 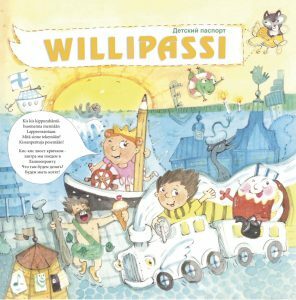 Wildpass invites people to our most popular summer and tourist city's points of interest via the oldest known market poem and graphical artist Heli Pukki's insightful puzzles and tasks. The picture book storytelling transcends language borders and gives the child space for creativity. Wildpass is available for every famility with children and can be acquired from Ideri (Kauppakatu 25).